A teen on a lifesaving mission is at the center of this rollicking European adventure novel. 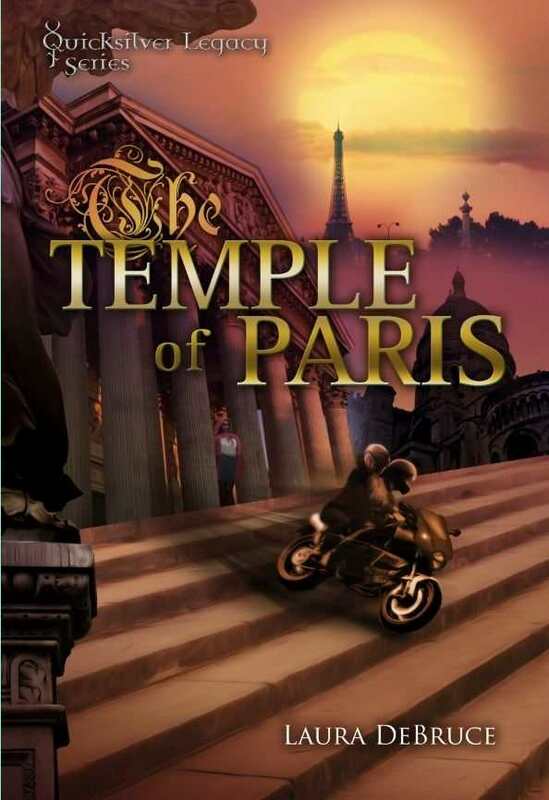 The Temple of Paris, the second volume in Laura DeBruce’s Quicksilver Legacy trilogy, is a fast-paced fantasy adventure novel with plenty of thrills. In the previous book, The Riddle of Prague, the author introduced the “Immortals,” centuries-old creatures who are impervious to disease and aging due to a magic elixir. If the teenage protagonist can learn how to use the elixir in her possession correctly, she can save her mother from a potentially fatal blood disorder. Although the complicated plot might be difficult to keep up with for those new to the series, older teens will appreciate the rollicking adventure story and the chance for vicarious European sightseeing. In 1991, eighteen-year-old Hana Silna flies from Prague to Paris, narrowly escaping an airport bomb. Someone, it seems, knows about the elixir in her backpack and wants to keep her from finding Valentina, a leading Immortal, and learning how to use it. With love interest Alex Williams plus a great supporting cast of friends, Hana must keep chasing two location clues, for the Temple of Glory and the Pantheon, through Paris and beyond to locate Valentina—all while avoiding the counterattacks planned by her sworn enemy, Nadja. Hana’s narration helps to ground the more fantastical plot elements in a realistic way. She doesn’t always sound eighteen, though. Her hyperbolic denunciations of others, such as “the most evil person I’ve ever met,” sometimes suggest a younger speaker. However, the book wisely gives a view from the other side by inserting occasional chapters from Nadja’s perspective, fostering sympathy for this supposed villain by telling the story of how she lost her true love. A charming, cosmopolitan group of sidekicks—most of whom are more compelling than Hana herself—enlivens the central quest. Alex is the son of an American diplomat; Dutch-born Geerdina Singh is a bohemian detective; and Italian siblings Roberta and Giovanni study art history and make documentary films. Later on the friends even team up with a knife-throwing dwarf. The dialogue between all of these characters is a highlight; the author even tosses in some French phrases, though some of these contain small errors. Paris, with its distinctive art and architecture, is an entertaining setting for armchair travelers. At times the novel is too reliant on plot twists, jumping from action scene to action scene without laying the psychological groundwork for Hana’s actions. In addition, occasionally awkward phrasing, a too-basic layout, and unexceptional cover art do the book no favors. Still, this is a suspenseful, original tale, and the third book, The Fountain of Ragusa, will likely broaden the trilogy’s European scope. This exciting entry to Laura DeBruce’s series is likely to appeal to fans of Cassandra Clare and Laini Taylor.